Jodi Wustman was a bright 19 year old college student when she suffered a devastating brain injury after being hit by a drunk driver. Finding no programs to support her after hospitalization, Jodi sank deeper into isolation for lack of contact with peers and mentally stimulating activities. This is a common problem for brain injury survivors. In 1982, Jodi’s parents got together with relatives of other adults suffering from brain injuries and began mobilizing resources to create a supportive and stimulating place for their loved ones. 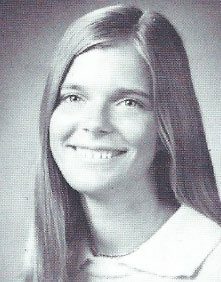 By 1994 Jodi House had a permanent location in Santa Barbara. 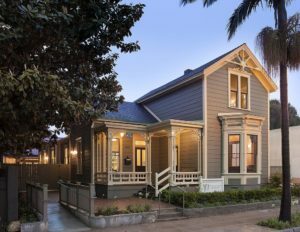 Jodi House is located in the heart of downtown Santa Barbara, situated in a historic, 1875 Victorian farmhouse. Our address is: 625 Chapala Street, Santa Barbara, CA 93101 (between Cota and Ortega Streets). Since its humble beginnings, Jodi House has become a vibrant activity center and the main source of support, referrals and information for the local brain injury community. Jodi House offers a Day Program and a Caregiver Support Program, both designed to assist brain injury survivors, their families, and caregivers in developing coping strategies for living with the lingering effects of a brain injury through participation in a supportive and accepting community setting.